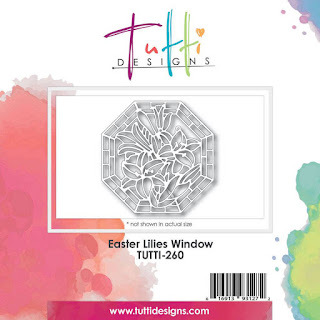 Vicki here sharing two Easter cards using the intricate Easter Lilies Window and Happy Easter Egg Dies from Tutti Designs. The ever popular Easter lilies are fragrant and white in color. They can be seen everywhere this time of year and often given as gifts. It's a sure sign of Spring! 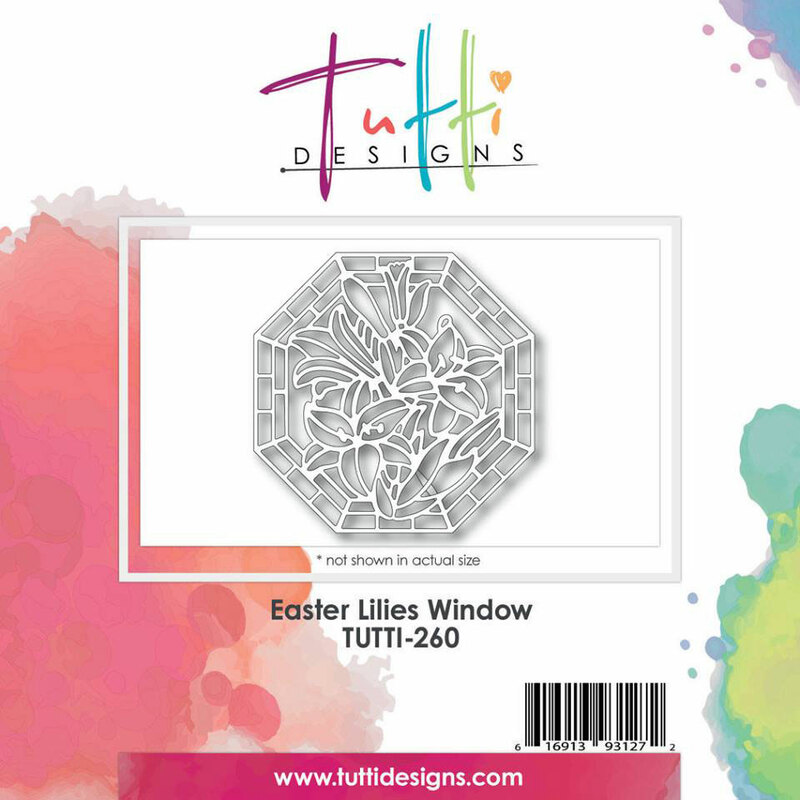 This Easter Lilies Window is an all time favorite of mine. 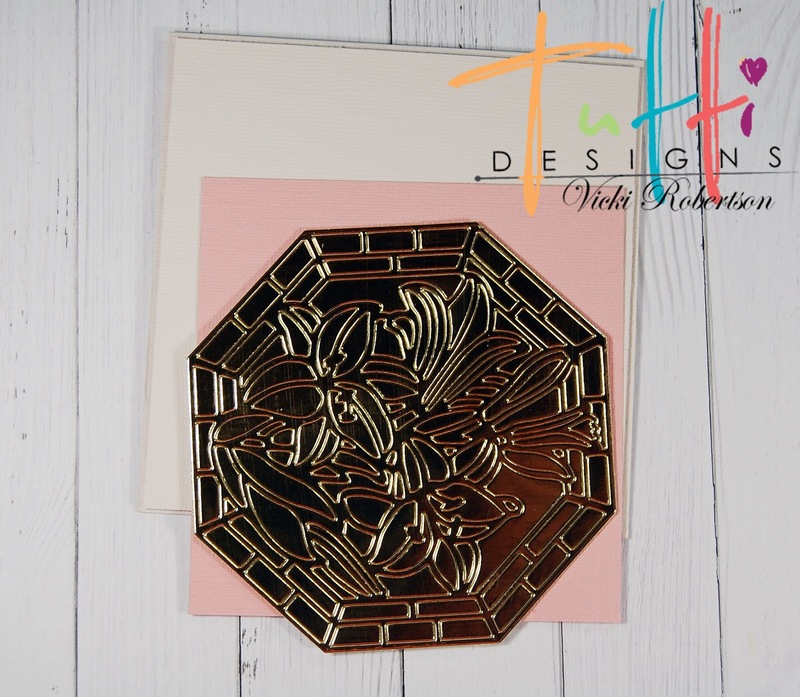 The first Easter Lily Window card is very basic using the entire window cut from gold metallic cardstock as the focal point. It's adhered to the base with foam tape for added dimension. 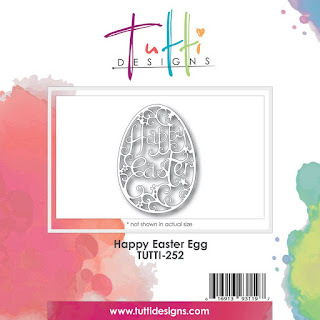 I cut the Happy Easter Egg and then fussy cut the word "Easter" to use as the sentiment. It can be a little tricky trying to keep the die cut pieces intact. 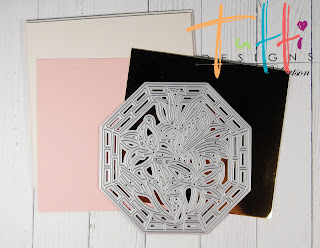 The heavy metallic cardstock seems to work best when doing this technique. 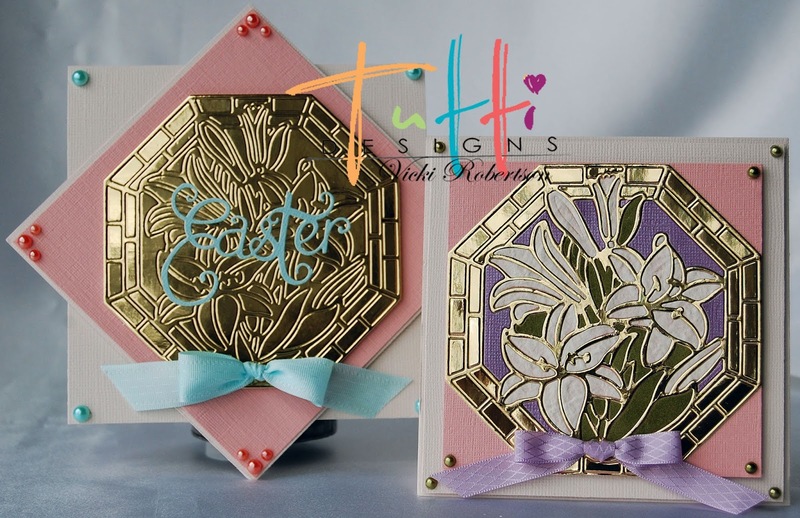 This second card is a little more involved because I have die cut the Easter Lilies Window in several colors and pieced the window design. 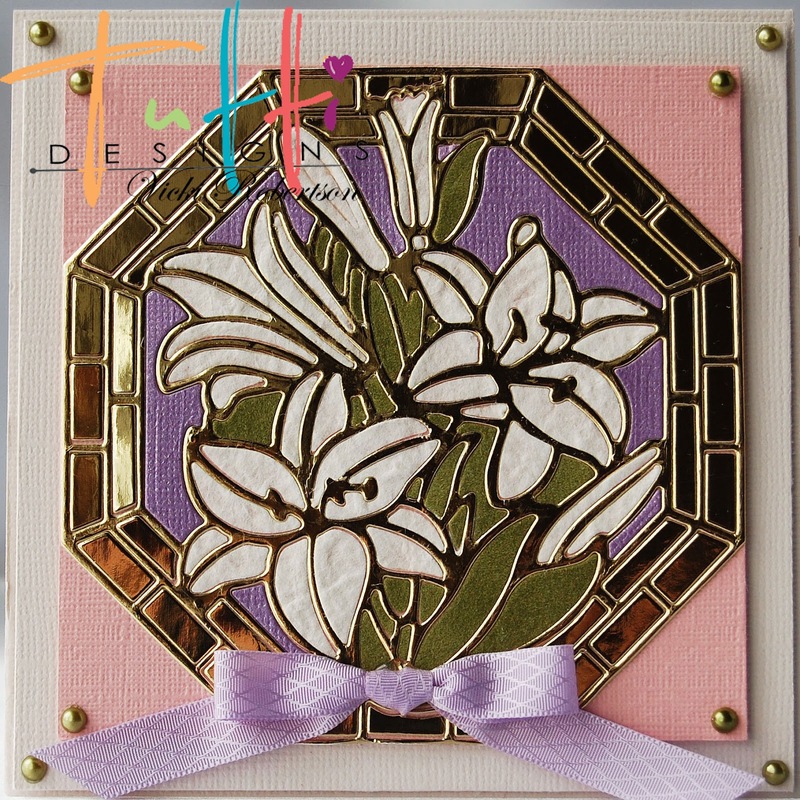 The window frame is the same gold metallic as the first card with white mulberry lilies, green velvet leaves and purple background. I embellished with a matching bow and pearls on this card also. Thank you for stopping by to share my Easter inspiration for Tutti Designs! WOW! These are GORGEOUS Vic! Fabulous inspiration! I love them both! 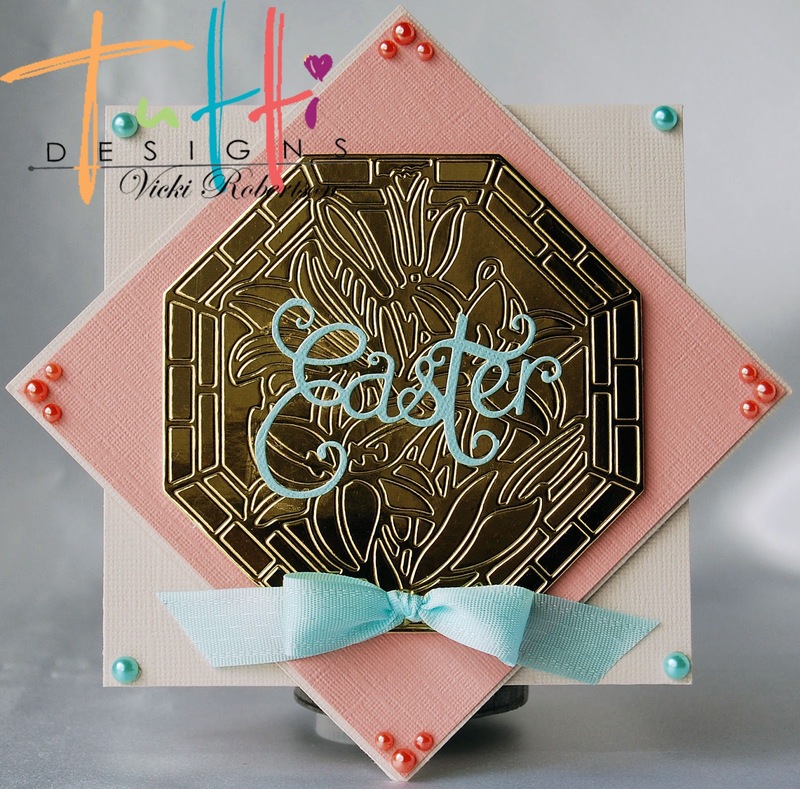 She is pretty, love the gold, and the Easter word works wonderful! Great cards! 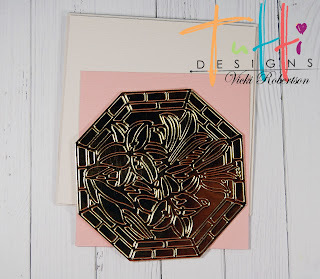 Wow it's just gorgeous Vicki!